Smell is the most ancient of our five senses. It is the sense that we rely on most when we first come into the world. Interestingly, our sense of smell is also intimately linked to our emotions. When we smell something, the odor molecules travel up the nose to millions of little receptors connected to the olfactory bulb in the brain. The neural information received by the olfactory bulb is then sent out to various parts of the brain, including straight to key systems (e.g., limbic) that govern our memory & emotions. This is where aromatherapy comes in. 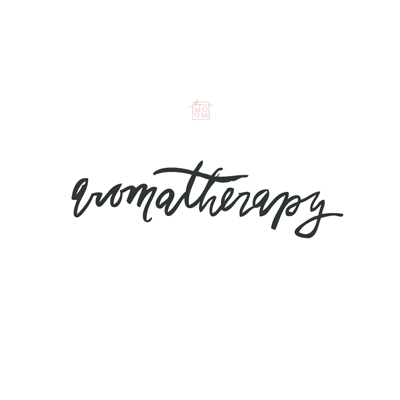 Aromatherapy can be defined as the use of Good Smells (often scented essential oils) to enhance physical and/or emotional wellbeing. Essential oils are the aromatic compounds extracted in concentrated form from plants, usually through the process of steam distillation. Popular oils include extracts from florals (e.g., rose), citruses (e.g., lemon), and herbs (e.g., rosemary). How to harness the effects of aromatherapy? 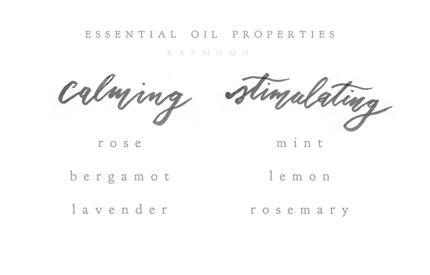 First, pick your essential oils* according to your desired effect. Are you looking for something relaxing, or energizing? Do certain smells remind you of something happy? Do your research. Second, choose your mode of application. Essential oils can be inhaled in the air or applied onto the skin. If applied, however, essential oils should rarely be used at full strength, and are best diluted in some kind of neutral carrier like jojoba oil. Breathe, and enjoy the moment -- appreciate this ancient system that connects mood to our sense of smell. Do you have a favourite scent? What effects does it have on your mood? I look forward to featuring specific essential oils in upcoming posts! *Note: Not all essential oils are safe for use by children and/or pregnant women. Please consult a doctor and research thoroughly before using essential oils for yourself.